Ice is not safe! Did we learn nothing from the photographer who watched $1500 in fancy equipment splash into freezing cold Icelandic waters? Evidently not. 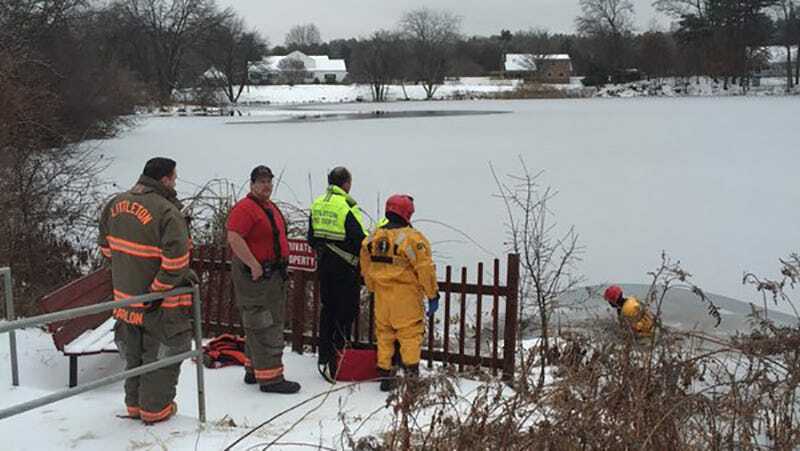 Firefighters in a Boston suburb rushed to the almost-frozen-solid Mill Pond following reports that someone had fallen through the ice while trying to recover a drone. When they got there, the person was missing, but there were footprints in the mud near the shore. The Boston Globe later tracked down the drone pilot who was evidently able to climb out of the freezing water before the rescuers arrived. Fortunately for all humans involved, the Littleton story had a happy ending. No word on how the drone’s doing, though.